It’s July, a good month to forage. See any dandelions out there? If those bright yellow heads are popping up in a field or nearby lawn, you have the raw materials for a good home brew at hand. I once lived in Safed, a hilltop town with snowy winters; just the right climate for dandelions. From May, when dandelion roots were still fat and the young greens made their first appearance, all through mild summer weather, I’d have a jug of dandelion beer fizzing on the kitchen counter. And bottles of dandie beer chilling in the fridge. It’s a beer to drink young, a truly seasonal quaff. The flavor is beery, mildly floral, with an interesting bitter note. 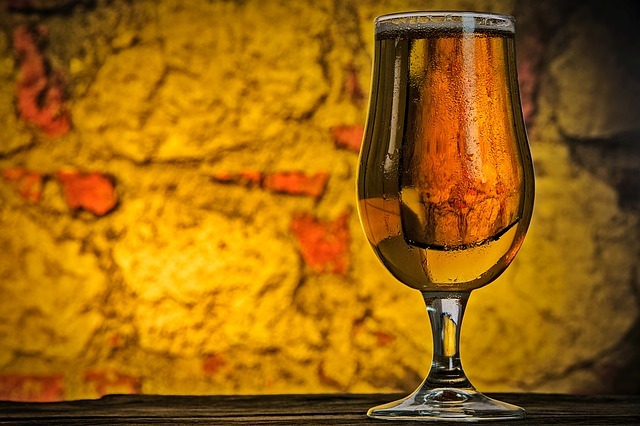 The mouthfeel will be thinner than commercial beers’, but careful, it packs a good punch. 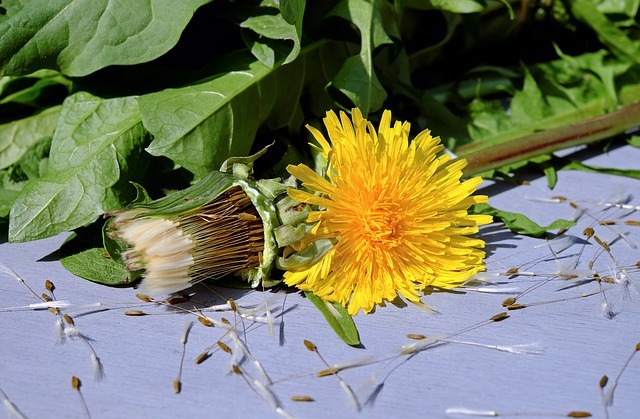 Start drinking dandelion beer seven days after fermentation takes off, up to three weeks later. After that, the flavor degrades. That’s why I had a perpetual beer jug working away on the counter. The last batch of the season was a marker for the turning of the year towards full summer. I gathered my dandelion roots and leaves from neglected gardens, where I was sure no one had sprayed pesticides. Once hot, dry weather set in firmly, it wasn’t worth breaking the soil up to get at those edible weeds; the greens would be tough and bitter, and the roots shrunk down. 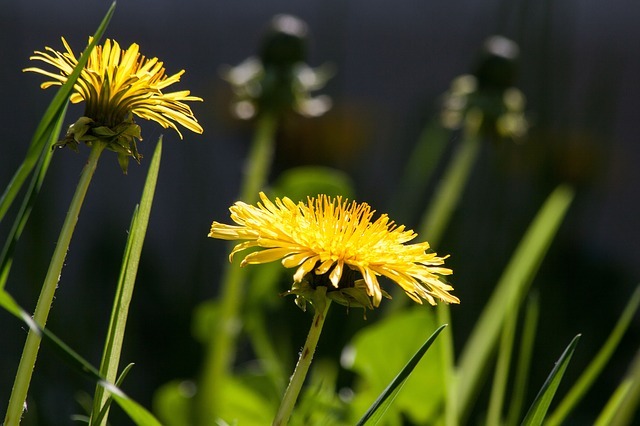 You need to gather your dandelions while the greens are not large yet; young and tender. Ideally, the plants you get should not be blooming yet, although it helps to identify them if several others nearby are. It takes about fifteen minutes to dig up all you need for a gallon of beer. Back home, the big project is washing the mud off your wild harvest. Cut the greens off the roots and soak them in cool salt water before rinsing them thoroughly. The roots soak in a separate basin. They will need a few changes of water to get really clean. A note about the yeast: I successfully used a couple of teaspoons from a cube of moist baking yeast. You can use granulated yeast. 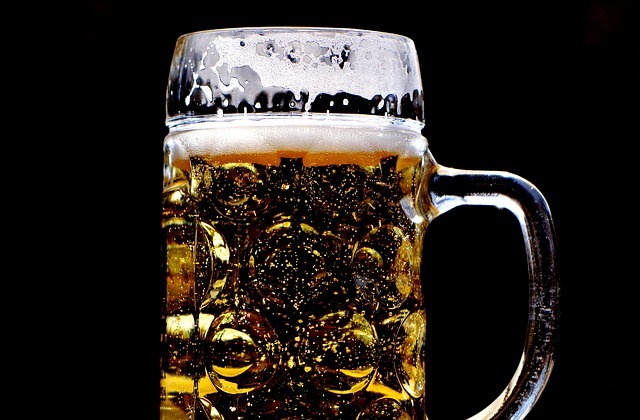 If you have access to beer yeast, that’s the best. But I never did, and my dandelion beer was great. This recipe reminds me of old jokes that start out “First, go out and steal a chicken…” In our case, go out and dig up about 1 quart/1 liter/4 cups young dandelion plants with roots and leaves. 1 quart/1 liter/4 cups young dandelion plants with roots and leaves. Have ready a large pot, a scrupulously clean food-safe bucket, a colander, and cheesecloth for straining. Substitute any clean loose-weave fabric for cheesecloth if needed. Later you will need sterilized strong bottles with screw tops. In a pinch, sterilize soda bottles and caps. Slice the dandelion and ginger root thinly. Peel the lemon, avoiding the bitter white pith as much as possible. Put the sliced roots and lemon peel in a large pot with all the water. Bring to a boil, covered, then reduce the heat to a simmer. Let the roots cook 10 minutes. Allow the root brew to cool somewhat, covered. It should be quite warm when you strain it. Juice the peeled lemon and set the juice aside. Put the sugar and cream of tartar into the bucket. Line the colander with cheesecloth and position it over the bucket. Strain the root brew into the bucket. Blend the yeast with 1/4 cup warm water. Let the liquid cool to room temperature before stirring in the yeast and the lemon juice. Cover the bucket with a clean towel. Keep the bucket in a warm corner safe from getting knocked around. Let the beer ferment for three days, mixing it well once daily. Siphon or strain the beer into your bottles. Avoid getting the residue at the bottom of the bucket into the bottles. Screw the bottle caps on, but not too tightly. Store the bottles away from light, in a cool place or the fridge for seven days. Open with caution and enjoy.